The body of one of three men believed to have drowned after their boat capsized off the coast of Tofino last month has been found. 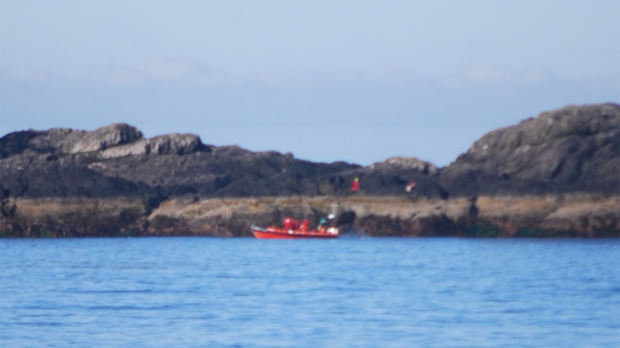 The man's remains were discovered by a kayaker near Echachis Island, a few kilometres west of Tofino, on July 18, according to Tofino RCMP. The bodies of the two other men in the boat, a 21 year old and 34 year old both from Meares Island, have not yet been found. Five people in total were in the metal-hull fishing boat when it capsized on June 15. Two of the five were rescued within two hours, with one man swimming to shore and one man being found still alive in the water. The search was scaled back after a few days with all three of the men missing and presumed dead. They were all said to be fishermen from the Tla-o-qui-aht First Nation.